Away From Work, Close To Nature: A Day Dedicated To Fun & Friends. 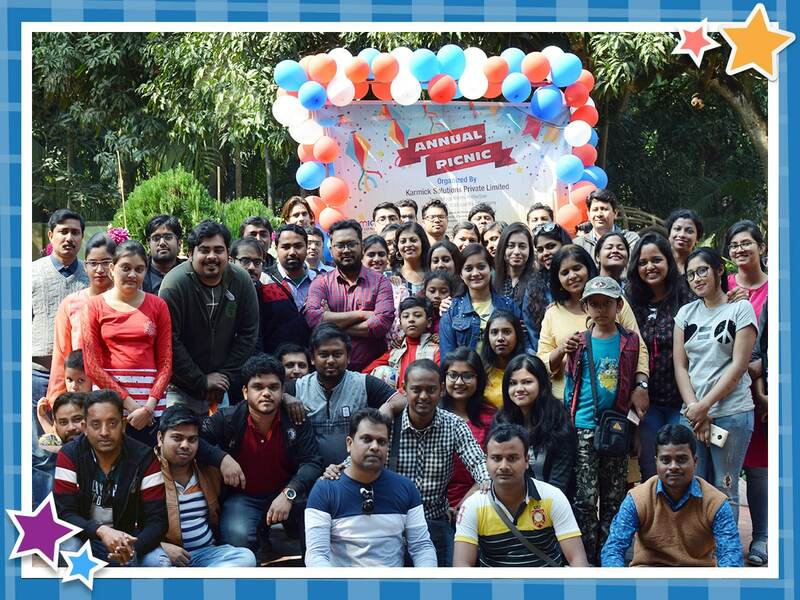 This year Karmickites celebrated the annual picnic at Abakash Garden, Duttapukur, Kolkata, on 2nd February, 2019. The excited lot started their journey around 8.15 AM in a bus and munched on potato wafers and cakes on their way to the destination. 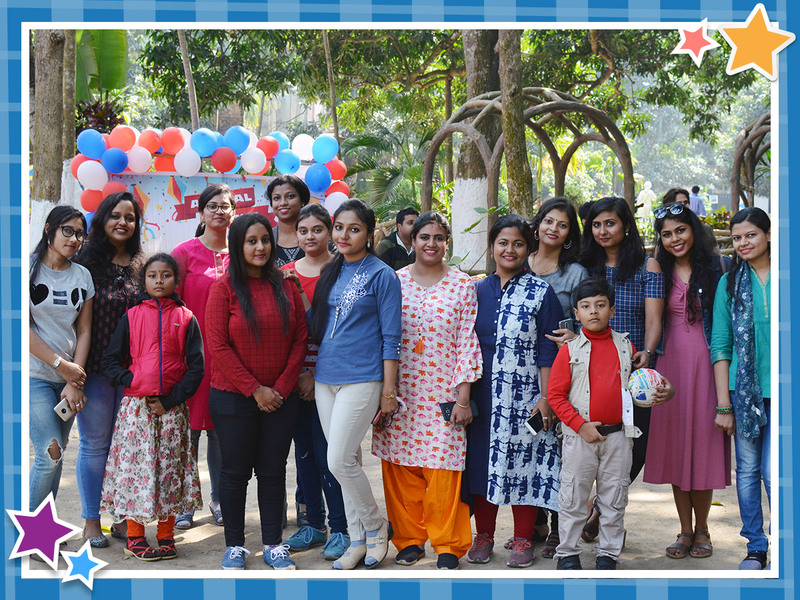 Around 10 AM, the highly-spirited group entered the spot and was elated to find that the garden was naturally scenic with a beautiful house in the centre. It was encircled by tall trees of different species. Adding to the beauty of the place was the outdoor balloon decor. Tri-colored balloon clusters in red, white and blue resembled the colors of our corporate logo. The sprawling neat stretch of land included man-made and natural attractions. There was a small pond, swings, benches resembling tree trunks, vintage outdoor lights, flower plants like marigolds, roses and dahlias, trimmed shrubs, ferns, as well as a small vegetable garden full of cabbage and cauliflower plants. The breakfast was served even before we could take a complete walk around the place. Hot peas kachuri, spicy aloor dum and a delectable nolen gur sandesh (sweet) satiated everyone’s hunger pleasurably. After the breakfast, we all participated in the ‘Hit the wicket’ game. Everyone tried their best to hit on a single wicket with a cricket ball but only two of the Karmickites could accomplish the task. Next was the ‘Hari bhanga’ (Hit the pot ) competition. This was the most fun game of the picnic with participants walking blindfolded in different directions while the clay pot sat quite far from the participant. Only one Karmickite could reach up to the pot and hit it. While this game was taking place at one side of the spot, an interesting cricket match between two mens’ team continued at another side. By the end of the match, the tempting smell of crispy chilli baby corn and chicken pakoras attracted everyone on the field. After a short break, the musical chair competition followed involving only the ladies. 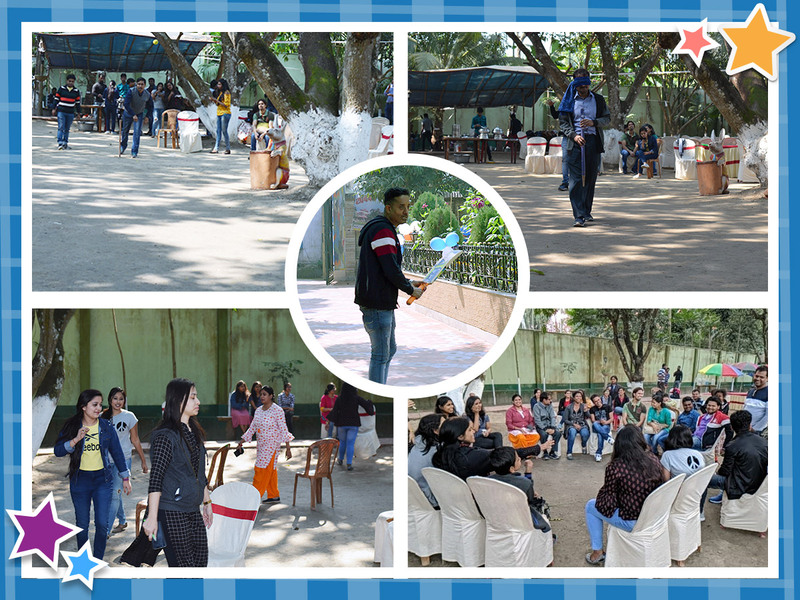 Antakshari marked the climax of the day filled with fun and frolic. 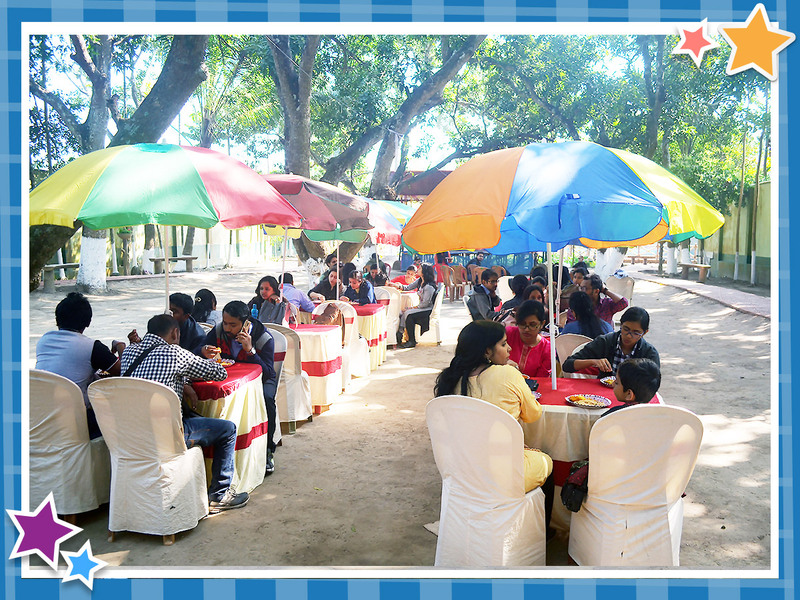 The day ended with a round of tea and biscuits after which the prizes were given away to the winners. As the sun descended into the clouds, we made our way toward a homeward journey, but with a hope of celebrating the same fervor yet again next year.